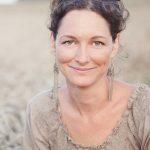 Jo Cormack is a therapist, writer, and feeding consultant. She specializes in solving picky eating for children and adolescents, working with their families, parents and other professionals to help them gain a better relationship with their food. With her website, Emotionally Aware Feeding, she’s able to reach out to a wider audience. Cormack has a Masters degree in counseling from the University of Nottingham (with distinction) and is a registered member of the BACP (British Association of Counselling and Psychotherapy). With her background as a therapist, she’s able to better help clients understand how to move forward with their child’s eating habits. In January, 2014 she published War & Peas, a book for parents of picky eaters where she presents her unique approach to helping families and picky eaters called Emotionally Aware Feeding (EAF). She lives with her husband and daughters in the countryside of the Nottinghamshire and Lincolnshire border in the UK.